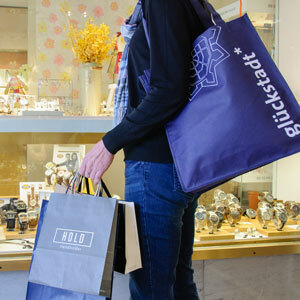 Once a month between April and December, ‘Glückstadt is Open for Business’. Unlike on a regular Sunday in Germany, the shops in the town centre are open. From 1-5pm, retailers throw open their doors! On this one Sunday a month, you can take your time to browse the shops and maybe find some real bargains. This makes Glückstadt an ideal destination for you next Sunday trip! 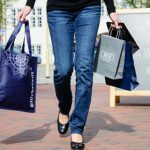 And adding to the fun of shopping on a Sunday, the town also has some entertaining events or offers in store for its visitors – let yourself be surprised! 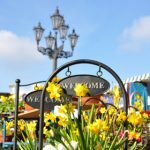 If you want to use the opportunity and get to know our lovely town a little better – this is the perfect time to do so. With the help of our Glückstadt magazine or audio guide, you can explore the town on your own. And of course it’s always worthwhile visiting one of the current exhibitions or making a short detour to the dyke to see the majestic ships pass by. You will find further information on the events mentioned and offers on open-for-business Sundays in our events calendar.